This recipe is so easy, I feel guilty about posting it! In a dry pan, roast the coconut until golden brown. Add oil, once oil is hot, add mustard seeds and cumin seeds, add curry leaves and hing. Stir well. Add onions, green chilli and a pinch of salt, cook until onions are soft. 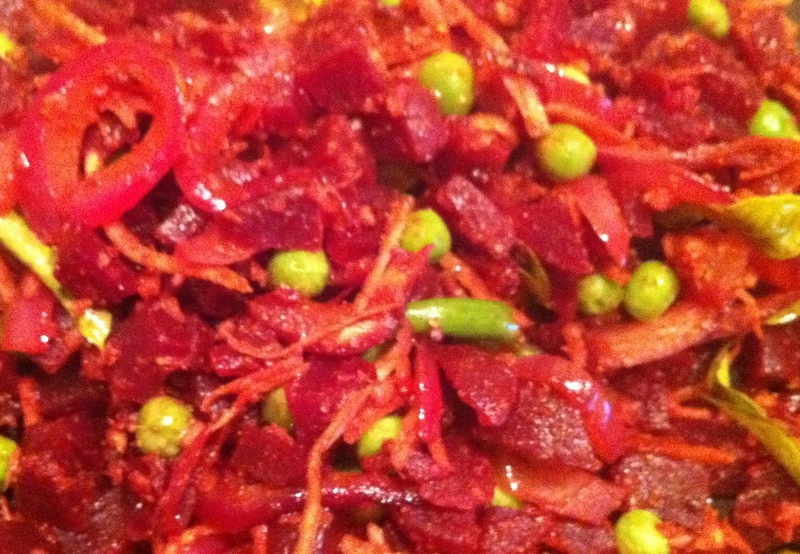 Add the beets, green peas and all the other spice powders, cook on medium heat until everything mixes together. Salt to taste. Enjoy!